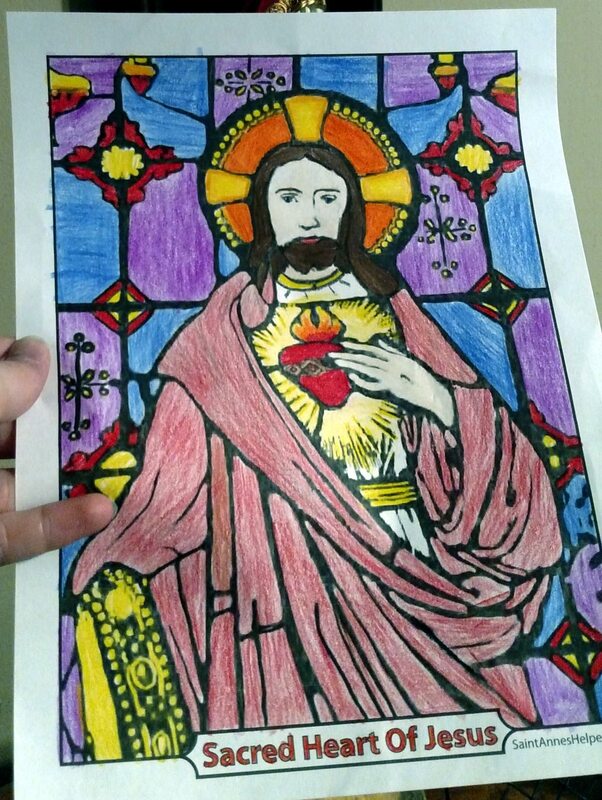 Kids like to color Sacred Heart of Jesus pictures for the feast of the Sacred Heart and First Friday devotions. The First Friday Devotion was given to St. Margaret Mary Alacoque by Jesus who also gave her the Twelve Promises. We are fortunate that we and our children were able to complete this devotion at least once. We took the children after their First Communions. Even though we can always improve our devotion in the future, it is neat to know that all of us have been able to honor Jesus this way. 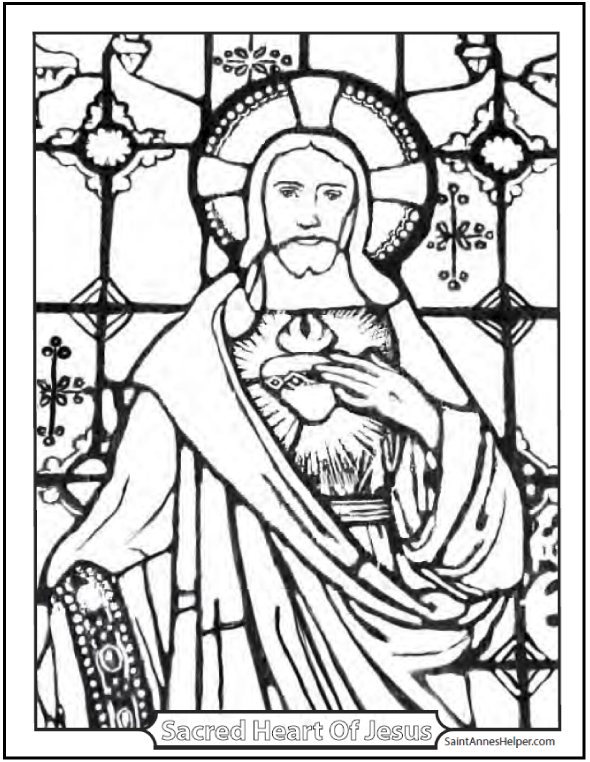 You can use this Sacred Heart coloring page for the Feast of the Sacred Heart on the second Friday after Trinity Sunday; or during June, which is the Month of the Sacred Heart. This is also great for teaching how much Jesus loves children. Sacred Heart of Jesus, have mercy on us. Saint Margaret Mary Alacoque, pray for us! Reading Jesus' Promises of the Sacred Heart. Saying a prayer to the Sacred Heart. And coloring a stained glass Sacred Heart kindergarten coloring page. Go to Mass on the feast of the Sacred Heart. Save a seat for Jesus at the dinner table. Because He loves us so much, Jesus chose St. Margaret Mary Alacoque, a simple nun, to spread devotion to His Sacred Heart. Through several apparitions He taught her a devotion that was to become known as the Nine First Fridays and the Holy Hour of Reparation to His Sacred Heart. 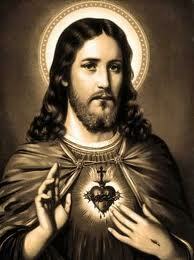 He also asked that the feast of the Sacred Heart be established. Eventually she received the support of Blessed Claude La Colombiere, the community's confessor for a time, who declared that the visions were genuine. On top of trying to keep the First Friday devotion, you can have a family holy hour that you keep at a regular time each week or month. For years and years we've had our holy hour right after Saturday morning Mass. It's been a great way to try to be sure to remember the First Saturday devotion and it's helped all our children keep both devotions. As our older children have gotten their driver licenses, they've been able to help us cover that hour more easily. Perhaps you can do the same? It's wonderful to have this as a family habit to have help remembering the right weekend. 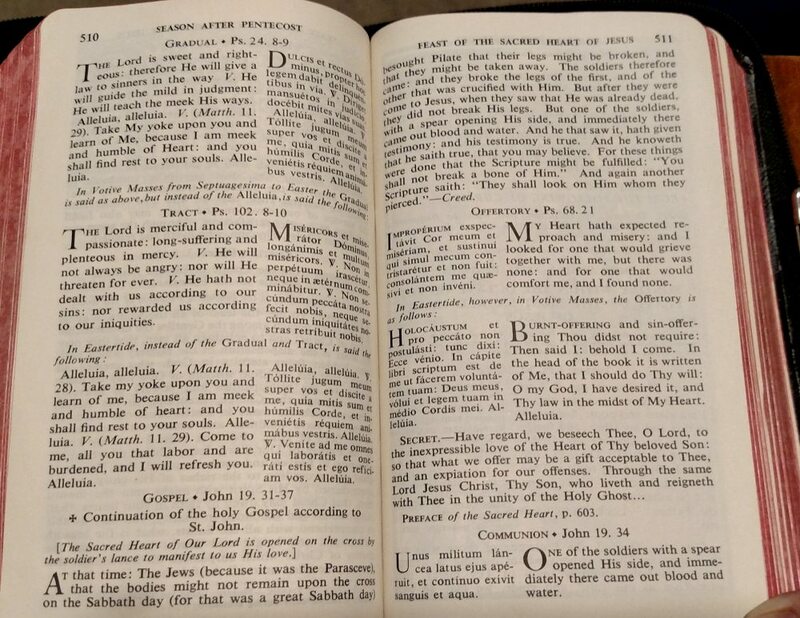 First Friday Devotion: Prayer To The Sacred Heart - New Marian Missal 1955. R. That we may love Thee ever more and more. Let us pray. May Thy Holy Spirit, we beseech Thee, Lord, enkindle in our hearts that fire which our Lord Jesus Christ came to cast on earth and desired so earnestly to see enkindled. 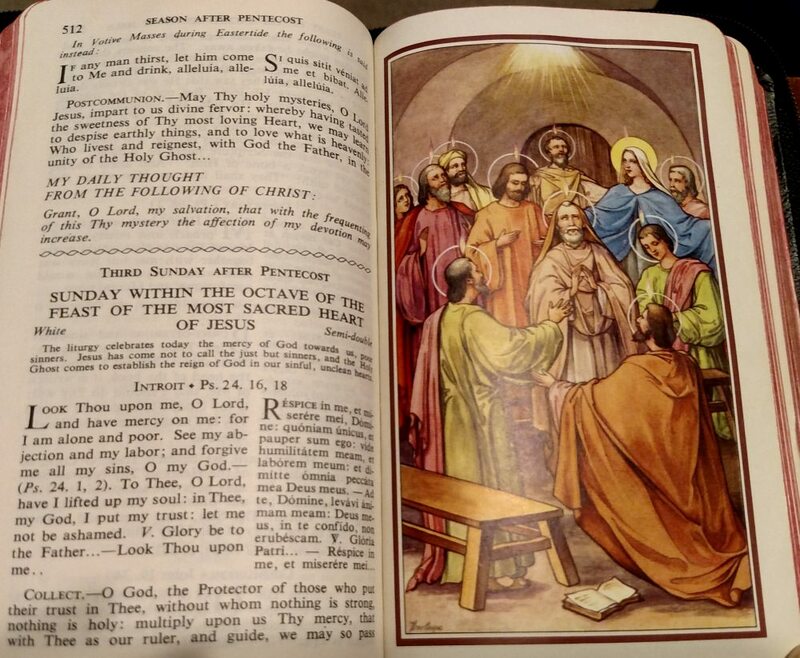 More Prayers To the Sacred Heart - New Marian Missal 1955. I will comfort them in their afflictions. Go to Confession and Communion on the first Friday of each month for nine consecutive months and pray for the intentions of the Holy Father. As with most devotions that parishes practice, this First Friday devotion to the Sacred Heart should be made publicly. This is the Mass to attend if you are starting your nine First Fridays. 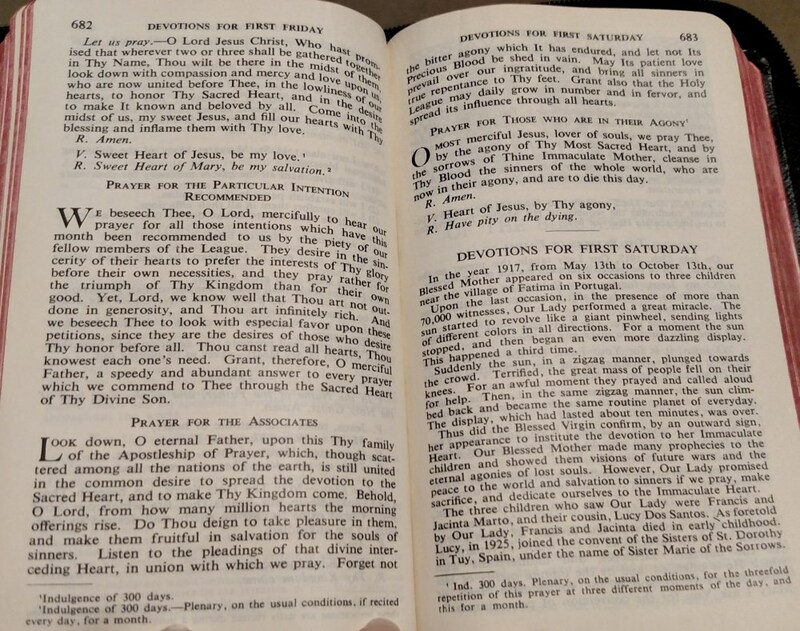 If there is no such public devotion, make the devotion privately; going to Confession and Communion and pray for the intentions of the reigning Pope. We post a reminder in our near monthly ezine. Would you like a reminder of upcoming First Fridays and Saturdays? Celebrate the Feast of the Sacred Heart the Friday after Trinity Sunday, and make the Act of Reparation, and receive Communion on the Feast. Be encouraged to make the Novena for the nine days ahead of the Feast of the Sacred Heart which begins on Thursday of the week before, the feast of Corpus Christi. Consecrate yourself personally to the Sacred Heart of Jesus, and recite the Consecration prayer daily for One Fold and One Shepherd. Participate in the Holy Mass and receive Holy Communion daily if possible for with the intention to make Reparation. Offer a Holy Hour once a week for Reparation; and encourage others to do the same. 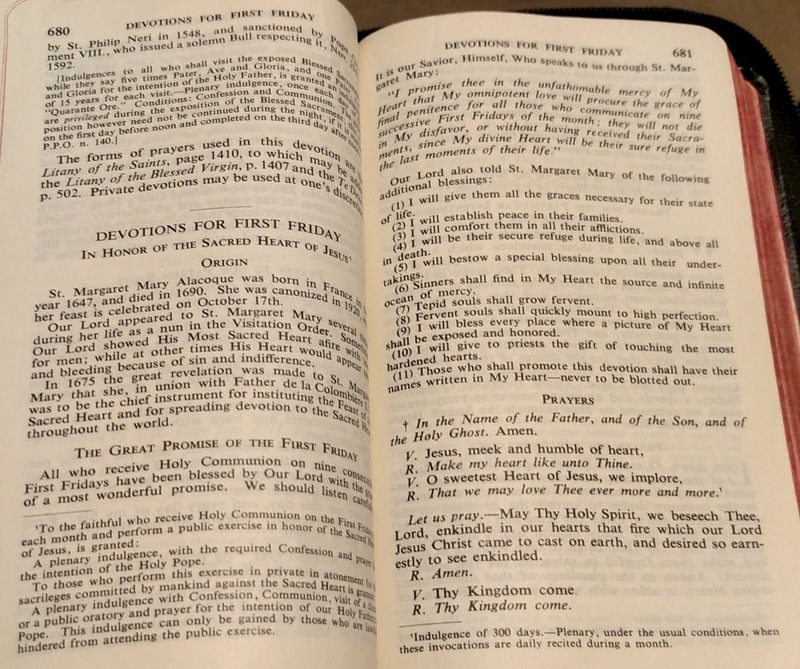 Soul Assurance Prayer Plan, 1945. The Mass on the feast of the Sacred Heart is beautiful! Feast of the Sacred Heart: Mass: Friday after the Octave of Corpus Christi. 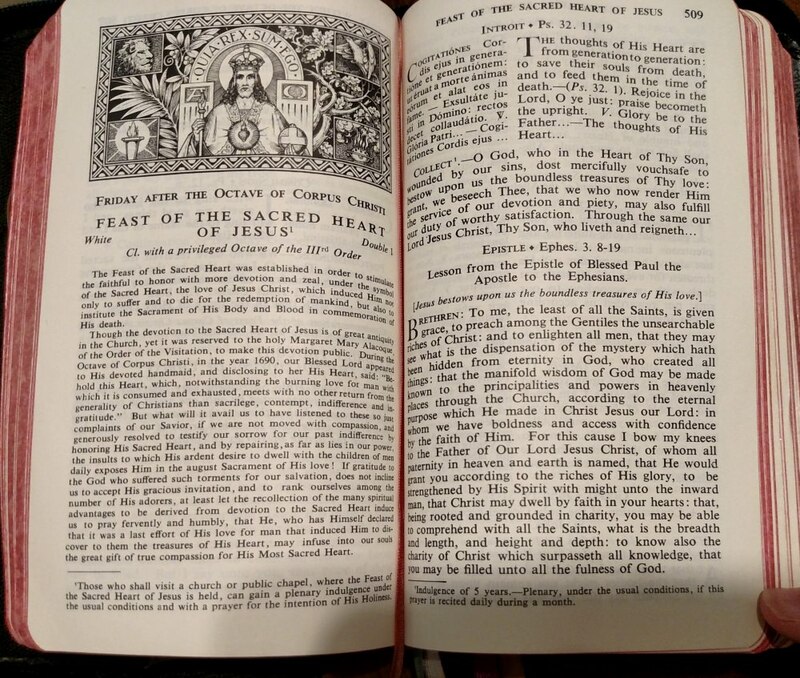 Feast of the Sacred Heart of Jesus Mass: Epistle and Gospel. Feast of the Sacred Heart of Jesus Mass: Communion and Daily Thought. For more information see Isa's informative Sacred Heart Holy Hour website here. And more Catholic coloring pages to print here.